The Analog Kid’s iTunes music folder contains 100,455 songs, so you may think that I own everything by everybody. Not so fast, my friends– even a collection that large is bound to have some true one-hit wonders and/or obscurities mixed in with the 553 Duran Duran songs. In this continuing series, I will feature an artist that has exactly one song in my entire digital library. Haysi Fantayzee may be best known for their unique sense of style, and are often attributed at the inspiration for Boy George’s classic look. Vocalist Jeremy Healy had been friends with Boy George since childhood, but George denied that he “stole” his signature look from his friend. The two apparently patched up their differences, as Healy went on to record solo music for George’s label after Haysi Fantayzee’s demise. Kate Garner was the female doppelgänger in Haysi Fantayzee, and she went on to become a very respected photographer. 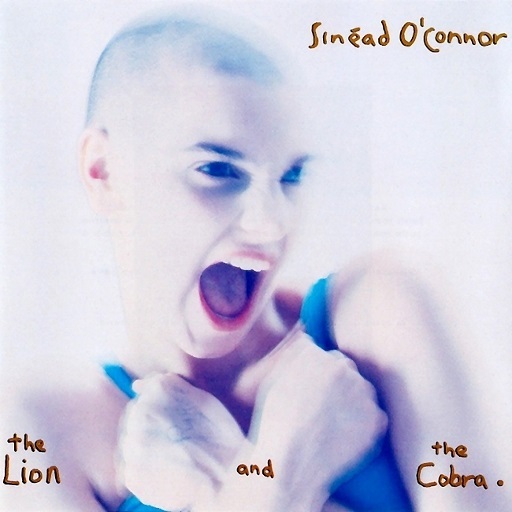 Remember the striking cover photo on the European version of Sinéad O’Connor’s The Lion And The Cobra? That picture was taken by Kate. It’s one of my favorite album covers of all time, and I still don’t know why they used a more subdued photo on the American version. Enjoy your time in the spotlight, “Shiny Shiny”– as soon as I reset all of my rip settings in Audacity (curse you, hard drive crash! ), you will no longer be the only Haysi Fantayzee song in my library! 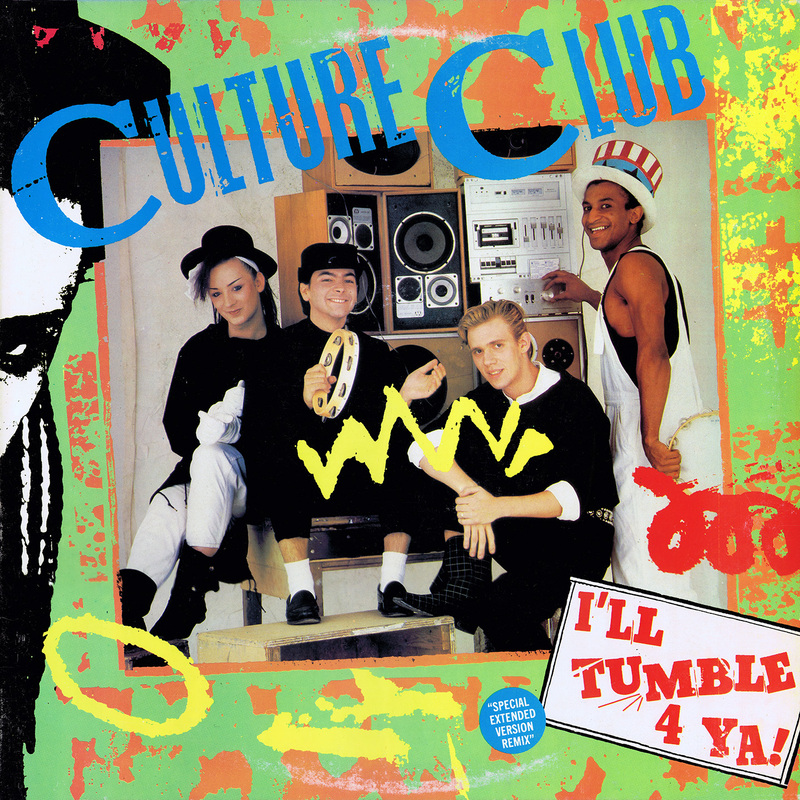 Posted by The Analog Kid on October 16, 2014 in Alternative, Dance, New Wave and tagged Analog Kid, Battle Hymns For Children Singing, Boy George, Culture Club, Haysi Fantayzee, Kate Garner, Shiny Shiny, Sinead O'Connor. Oh wow, I thought I was the only person in the world that loves Hayzi Fantayzee! There’s a few of us out there!! I ripped the whole LP a couple weeks back, so perhaps I’ll feature it in a future post. Thanks for reading (and listening)!